?TECHNOLOGICAL DESIGN?Large capacity battery:180 mah Polymer battery can support 5 Days Standby.And Three Kinds Clock Display make your watch more fashion and Outstanding.Lifetime Warranty: If you are not satisfied with the item, you can reach out to Evershop for refund or a new replacement. 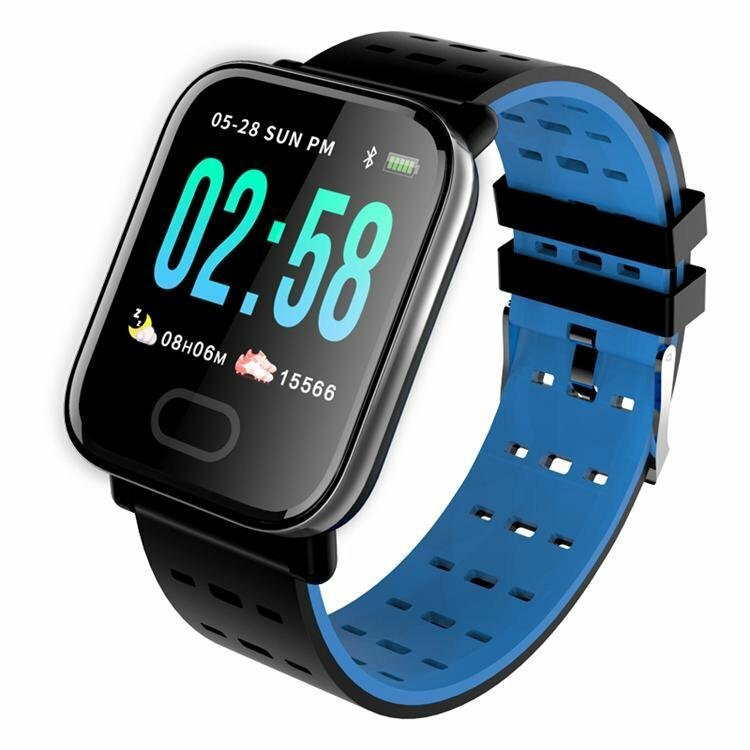 ?MAIN FUNCTION?Sleep Monitor, Heart Rate Monitor, Calories calculation, Alarm clock, Sedentary reminder, Calculator, music player, calendar, Bluetooth information synced, alarm, and video recorder are waiting for you to discover and experience. ?12-MONTH WARRANTY?1 YEAR WARRANTY AND BONUS ITEMS - Bonus Accessories with 1-Year Manufacturer's Warranty and 30 days no-questions-asked return policy. If for any reason you're not completely satisfied, Please contact us, our excellent service will bring you a smile.